Congress has thrown a wrinkle into the federal government’s planned-consolidation of federal data centers by putting the Pentagon‘s own consolidation plans on hold. In November, the Defense Department said in a report that the Defense Information Systems Agency, which operates 14 data centers in the cloud, was its first choice to provide cloud services to the Air Force, Army and the Defense Logistics Agency. The Pentagon and its agencies were also considering options to migrate information technology infrastructure to DISA centers. Those plans appear to be changing with the passage and signing of the National Defense Authorization Act for fiscal year 2012. Section 2832 of the law says neither the Pentagon nor its components can obligate funds for a data server, data server upgrade, data server farm, or data center before May 1, 2012 unless approved by Defense Chief Information Officer Teri Takai or a CIO of the respective component. Takai must also include plans to transition to cloud computing and utilize security devices from the private sector. 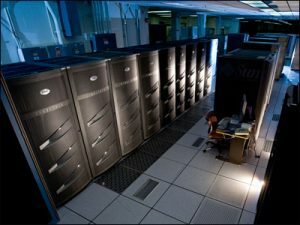 Heads of Pentagon agencies and secretaries of service branch departments must submit their own plans to Takai by Jan. 15, 2012 to reduce the required resources for data servers and centers by Jan. 15, 2012. After May 1, funds may be obligated for data centers if the obligation is in accordance with the plan.